At Brew Hop, we have beer on our minds all day, every day and it’s with that passion that we created Brew Hop. Brew Hop is a San Diego brewery tour company that is unique and professional–providing a regional beer tasting experience that our guests never forget. We love to geek out on beer and we’re excited you’ve chosen to join us as we drink in great local beer, create awesome memories, and relax in style as we tour the city in a sweet ride. Our Brew Hop tour guides are among the best in town sharing years of experience in marketing and sales of craft beer brands, home brewing, bar tending, and cultivating close brewery relationships. Call Brew Hop today, book a tour, and let one of our incredible guides give you rockstar access to some of the best beer in San Diego! 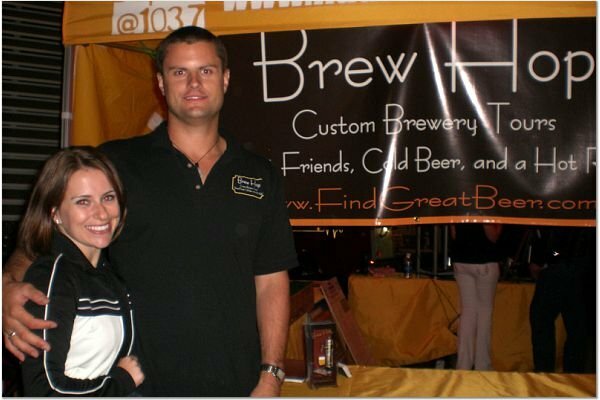 Brew Hop, LLC is a trademarked name and company, and cannot be used without express written consent from the company partners. We are not responsible for the quality of your experience or the actions of any company assuming the Brew Hop name illegally.